Space is an important frontier in the best states for aerospace engineers. Whenever I think of engineers, scientists, or mathematicians, I’m immediately in awe of the work they do because it’s an area of expertise I haven’t mastered or gotten remotely close to understanding. I know math is incredibly important, but I don’t like it or care about it and I’m proud of using my iPhone calculator to figure out what to tip at a restaurant and that’s it. Space seems really interesting to study and think about, though, and if I were to enter any scientific field it would probably be something related to space simply because it would make me feel like Dana Scully. She’s a doctor, but same thing I guess. Aerospace engineering is primarily concerned with the development or space and aircraft. Aeronautical and astronautical engineering are the branches within it. These engineers basically design and work with anything that flies like aircraft, spacecraft, missiles, and satellites. There are a lot of skills you need and a lot of things you need to know. Physics is a major part of this career because of the air and space factors. If you’re not a spacey person, maybe the best states for advertising salesmen is more your speed. In order to create this list of best states for aerospace engineers, we took data of the annual mean salary and number of employees from each state from the Bureau of Labor Statistics. 17 states were missing from the statistics, so that’s something to keep in mind here. Additionally, we took a look at the cost of living index from MERIC. It’s important to know how the cost of living factors into the salary in each state. The best states will be the ones with the lowest cost of living and the highest average annual salary. If your salary is high and the cost of living is too high, then the salary doesn’t mean as much, which is why we took this into consideration. 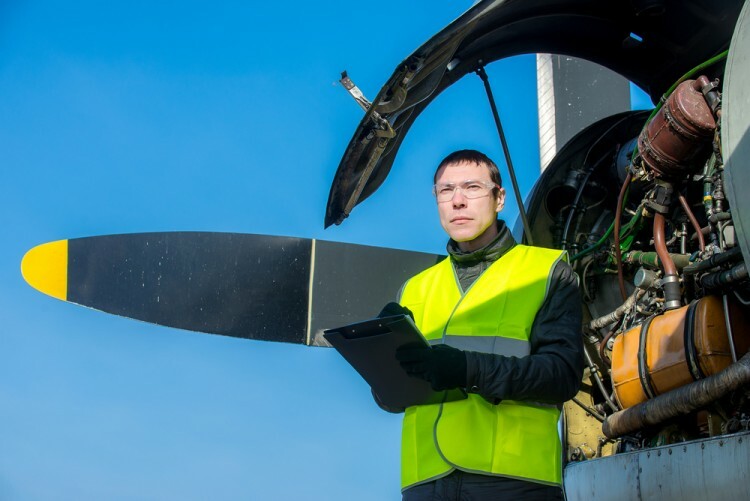 Without further ado, let’s take a look at the best states for aerospace engineers.